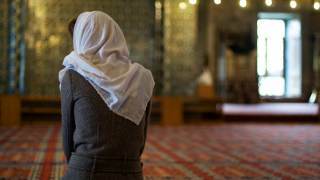 The Council of Europe passed a hard-hitting resolution this week which calls on the UK to take six specific actions in relation to the influence of Sharia law. The resolution expresses concern about the operation of sharia councils in the UK and discrimination against women by these councils. The UK is called to ensure that Muslim women’s rights are protected by ensuring that Islamic marriages are required to be civilly registered. Tim Dieppe discusses the points made by this resolution and welcomes the action points that it has set for the UK government. The Council of Europe passed a resolution about the operation of Sharia law amongst its members this week. The 47-nation Council of Europe oversees the European Convention on Human Rights and works to uphold human rights, democracy and the rule of law in Europe. This is very helpful and clear statement of the manifest incompatibility of Sharia law with human rights. The resolution expresses concern that some members of the European Council (Albania, Azerbaijan and Turkey) have signed up to the Cairo Declaration on Human Rights in Islam and asks that those member states should consider withdrawing from the Cairo declaration. The Cairo Declaration is notorious in not being properly supportive of human rights. For example, Article 2 states that: “it is prohibited to take away life except for a shari’ah prescribed reason.” Since Sharia law prescribes the death penalty for apostacy, this completely undermines freedom of religion. Furthermore, Article 10 states that: “Islam is the religion of true unspoiled nature. It is prohibited to exercise any form of pressure on man or to exploit his poverty or ignorance in order to force him to change his religion to another religion or to atheism.” Thus, freedom of religion is not protected by this declaration. Free speech is also not protected. Article 22 states that: “Everyone shall have the right to express his opinion freely in such manner as would not be contrary to the principles of the Shari’ah.” Since Sharia law prescribes the death penalty for blasphemy or insulting Muhammad, this severely restricts free speech. Article 24 states, “All the rights and freedoms stipulated in this Declaration are subject to the Islamic Shari’ah.” Article 25 states, “The Islamic Shari’ah is the only source of reference for the explanation or clarification of any of the articles of this Declaration.” This makes clear that the Cairo Declaration is just as discriminatory as Sharia law is and therefore extends no protection of human rights to signatories. The Assembly is quite right to be concerned about the discrimination against women by these Sharia councils and the effective creation of a parallel legal system which ensues. conduct further research on “judicial” practice of Sharia councils and on the extent to which such councils are used voluntarily, particularly by women, many of whom would be subject to intense community pressure in this respect. The UK is asked to report back to the Assembly by June 2020 on the actions taken as follow-up to this resolution. These action points are very much in line with recommendations that Christian Concern has been calling for in relation to the operation of Sharia councils in the UK. The government commissioned an independent review into the application of Sharia law in England and Wales which reported last year. The review clarified that Sharia law is being applied in the UK and that discriminatory practices are occurring in that context. The review recommended requiring Islamic marriages to be civilly registered. Christian Concern have been supporting Baroness Cox with her Bill in the House of Lords which would make it a legal requirement for religious marriages to be registered. This would protect women with legal rights in the event of death, divorce, or abandonment. It would also prevent polygamy. We hope that this resolution from the Council of Europe will add to the pressure on the government to curb the operation of sharia law in the UK.